We actually customize our wilderness rock climbing tours to the skill level and interests of each group we take out. Our experienced guides are happy to give first-time climbers an intro to the sport, and they are equally stoked to help advanced climbers find new routes or refine their technique. Whatever your experience level, your guide will keep you safe and make sure you have a great time. We’ve been guiding at Cliff Lake and Wall Lake for a long time, and now we also have climbing permits at Ruth Lake, Stone Garden, and Hayden Peak. These are some of the best climbing areas in the Uintas, and we are the only outfitter with access to Iron Hayden. 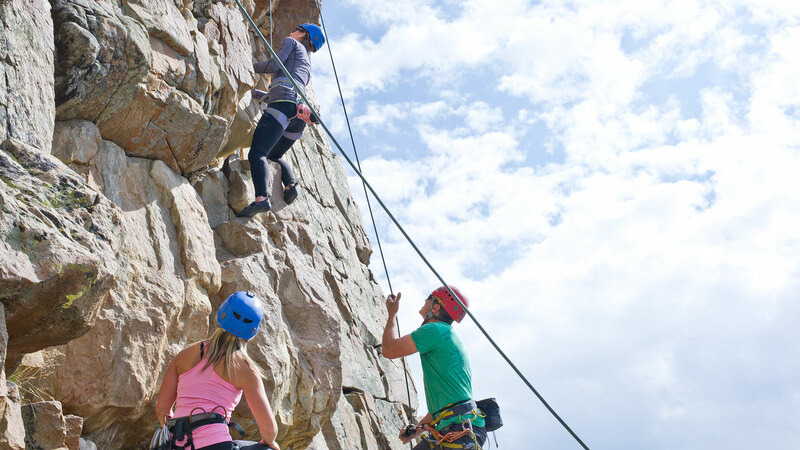 With such a wide variety of climbing routes, there is something for everyone. Lunch is included at no additional cost.